Do you want to get rid of old stains or dirt that darkens your domestic carpet or rug? 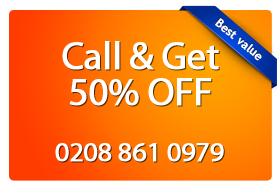 Take a look on Magic Carpet Cleaning in Marylebone W1! You can be sure you are in good hands. Our carpet cleaners are experts who do their job diligently and competently. Give us a call on 020 8861 0979 for a professional and hassle-free cleaning of your home carpet or rugs! We offer fantastic discounts and many benefits to all of our customers! Why Choose Magic Carpet Cleaning Company? You are afraid of being deceived? Don’t worry, our company works without hidden conditions or fees. We value our relationships with clients and satisfying you is our ultimate goal. We use safe cleaning solutions who are biodegradable and do not pose a threat to your health or the environment. We are proud of our highly qualified and certified staff. We are open to new trends in our professional field and we implement the best of the innovations in the branch. Our cleaning professionals deal equally well with old or new stains. You can contact our friendly assistants if you have any queries or doubts. They have an answer to all your questions and are available 24/7. The hot water extraction destroys all the germs and pollutants in dirty carpets. Our certified cleaners are using biodegradable detergent, injected under high temperature and pressure, which kills all micro organisms . The result is clean and bacteria-free carpets that ensure a safer and fresher environment for you and your family. The hot water extraction also prevent of developing allergies to dust and dirt. It is one of the most efficient cleaning methods available today. It is highly recommended for families with small children or pets. 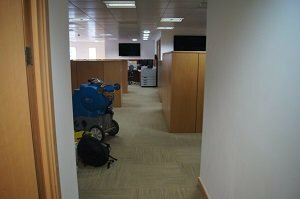 We can clean up your business building and commercial premises using 98% biodegradable detergents which are child and pet safe. The method is known as Dry Carpet treatment and is usually used for cleansing textile floors in places with high human activity. The professional cleaners put powdery detergents in the fabrics and then remove them with the specialized machines. The method does not require the use of water which means that you don’t need to wait for the floor to dry before it can be used. Another advantage is that the lack of water prevents the mold formation which is good for your carpet. The dry compound approach is suitable for delicate materials. It is not just expedient but also perfect for dust removal and bacteria treatment. We can completely remove persistent spots, stains and spills from your natural and artificial floors no matter what their origin is. Coffee, traces of pet urine, wine, food, chewing gum, chocolate, etc. don’t have a chance with us. Our cleaners work with specialized professional equipment and use biodegradable cleaning products guaranteeing you safe living and working environment and absolutely no damage made on the fabrics. For all of you who are desperate when it comes to stains and spots in your house or office, the Magic Carpet Cleaning professionals are here to help. Just call 0208 861 0979 and seek for their assistance.